Latest limousine industry news and useful articles. Presidential limos are a subject of complete fascination for us, with authoritative public figures always making big displays of vehicle eccentricity. This is especially the case when it comes to key political events. 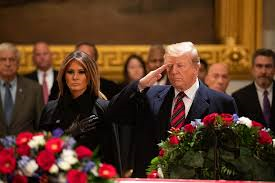 This is why we were not surprised at the way in which President Donald Trump arrived to the funeral of George HW Bush last week. According to sources, the American leader arrived at Blair House to visit grieving relatives of the bush family. While a nice gesture, the president has been criticised for arriving in The Beast limousine accompanied by an 8-vehicle motorcade. Trump came under fire for using the 9 motors to travel a mere 250 yards, with many concerned over the environmental impact of just a journey. Travelling just a few blocks from the White House, it is still unknown whether this 9-car convoy was a security measure or the personal preference of the President’s. While many have been eager to pass comment on Trump’s decision to travel down the road in this way, former President, Barack Obama, was equally as lavish when it came to transport. Renowned for closing roads in Washington and employing full motorcades, Obama, like Trump, took no risks. But, this was arguably the work of the Secret Service. In Mrs Michelle Obama’s recent autobiography, she revealed how the Secret Service often requested she or her husband “take the motorcade instead of walking” to Blair House. But, this is not the first time Donald Trump has been criticised for choosing a motor over his legs. Last year at the G-7 Summit, Trump was bashed for traveling via golf cart as the rest of the world’s leaders walked and posed for group photographs. Let us know what you think about this story. Should Trump always place safety as a priority or should he be stretching his legs more? Leave your comments with us. As you well know, here at Limo Broker, we love nothing more than an experimental limousine concept, enjoying looking at designs that give us an insight into future travel. This is why this week we were thrilled to learn more about the Renault limo concept; a vehicle that is basically a 5-star hotel built inside a car cabin! 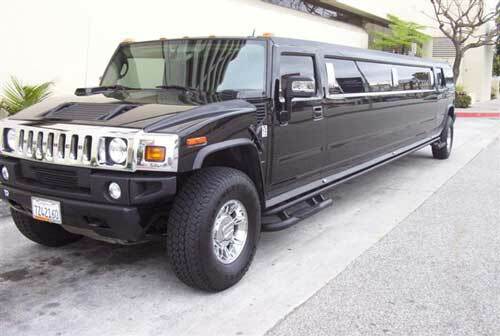 Being the talk of the car manufacturing industry, the limousine is being called the EZ-Ultimo. Unveiled at the Paris Auto Show, the limo quickly became known as “Batman’s limo”. Impressive on every level, from the exterior to the interior, the concept is a great example of how creative manufacturers are getting in the race to autonomous travel. Fit for royalty, the cabin is grand to say the least, created solely to impress important travellers. Set to provide an unparalleled transport experience, the cabin boasts natural materials such as marble, woods and fine leathers, making for a calming atmosphere for passengers. But ‘why is it being compared to a hotel?’ we hear you ask. Well, passengers sit adjacent to one another, with glass panels and plush leather making it not dissimilar to a high-end hotel lobby. What’s more is that the exterior is nothing but extravagant, with the concept limousine being 19 feet long. Though colossal in size, the car only seats four people, giving four lucky passengers a roomy, relaxed way to travel. The limo is also completely autonomous, meaning there will be no driver, just the wonders of new technology to navigate you around the city. Let us know what you think. Has Renault given us a hint of what future road travel will be like? Leave your comments with us. Here at Limo Broker, we work hard to remain the home of luxury vehicle hire, catering to our customers’ needs and wants when it comes to planning transport. Understanding how important it is for brands to move with the times, we have this week unveiled our new website, launching a redesign of our popular site; LimobBroker.Co.Uk. Fed from a great deal of research, this new website is something we are thrilled to finally be sharing with you. Conducted by award-winning creative agency, MOBO Media, the project’s aim was to give our much-valued customers a performant, reliable, efficient and smooth method to book limos online; an ambition that MOBO has well and truly achieved. Digging deep into the analytics of our site, we found that users were shopping for limos, chauffeur cars and supercars using all types of devices. Wanting to accommodate all visitors, MOBO ensured the website was coded and designed using the latest tech and coding standards, presenting itself beautifully on desktops, laptops, tablets and smartphones. Utilising the wonders of HTML, the website now boasts a clean, simplified structure, making it incredibly user-friendly. Starting from scratch and hand-coded, this website has been built specifically with Limo Broker’s customers in mind. Placing a huge focus on navigation, the new site sees all the information users want within reach, putting just seconds between logging on and receiving vehicle hire confirmation. With an all-new simple, 3-colour design, users with limited vision can differentiate between elements, with the design team ensuring adequate spacing between clickable elements. All these features combine to make for the best-possible browsing experience. “For design performance we opted to use techniques that help us write highly optimised website styles that gives us longevity, for this we used SCSS a library that helps our developers write CSS (The code that changes how the site looks and feels” MOBO continues. We would like to take this opportunity to thank MOBO for their work on this project and look forward to working with the team in the very near future. Like many other car manufacturers, Renault are a brand that understands that future of travel is connected, with autonomous cars being the focus for the whole industry. Working hard to stay relevant in a German-dominated market, Renault have been working on their own driverless car creation; the Renault Ez-Ultimo. Unveiling the concept at the 2018 Paris motor show this week, the car apparently went down an absolute storm. Said to offer a “premium mobility experience”, we at Limo Broker wanted to take a closer look at what the French carmakers had to show for their hard work. Why is the Renault ED-Ultimo so special? Well, with such a fabulous, dramatic name, we expected big things from this concept. And we were not disappointed. In essence, the car is an electric, connected and autonomous limousine that is all about privacy. Providing passengers with an intimate cabin to travel inside, critics say the limo to provide an unparalleled chauffeur service. Not dissimilar to the design of a traditional limo, the car is 5.8m-long and 1.35m tall. Plus, the car has the ability to seat up to three people. While an incredibly futuristic vehicle, there are a few nods to the cars and designs of yesteryear. Apparently, the car boasts rotating knobs that have been likened to the ones on old-school amplifiers to control the audio and lighting. According to the Herald Sun, this vehicle will make up just one part of a futuristic Renault fleet and driverless car service. “Renault expects the premium service to work alongside its more mainstream Ez-Go robot taxi and Ez-Pro driverless delivery van in the connected cities of the future” they claim. Let us know what your thoughts are on this new vehicle concept. Can Renault compete with BMW, Volva, Uber and the likes when it comes to driverless car technology?